Jibhi is a beautiful himalayan hamlet situated at the lap of Jalori Pass in Banjar /Tirthan Valley of Himachal Pradesh, India. 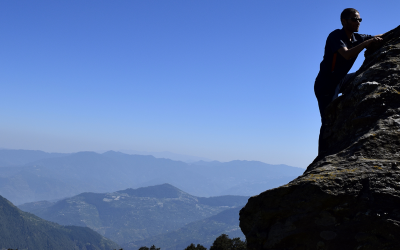 Jibhi is located on one of the most historical routes between Kullu/ Manali and Shimla/ Rampur / Kinnur. Jibhi can be approached from New Delhi- Chandigarh, Manali Shimla, Dharmshala or any other major town. Jibhi is an ideal destination for travellers who are looking to escape from mundane existence in concrete jungles and busy cities for rejuvenation. 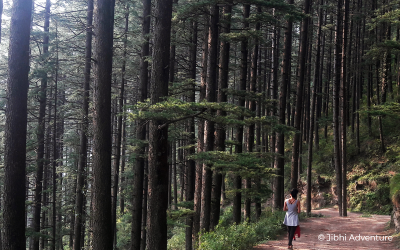 Jibhi offers perfect mix of lovely short trails, which could be followed without a guide; longer, more elusive paths deep into the forests, which can be explored under expert guidance; breath-taking waterfalls; meandering rivers to wander along the banks. 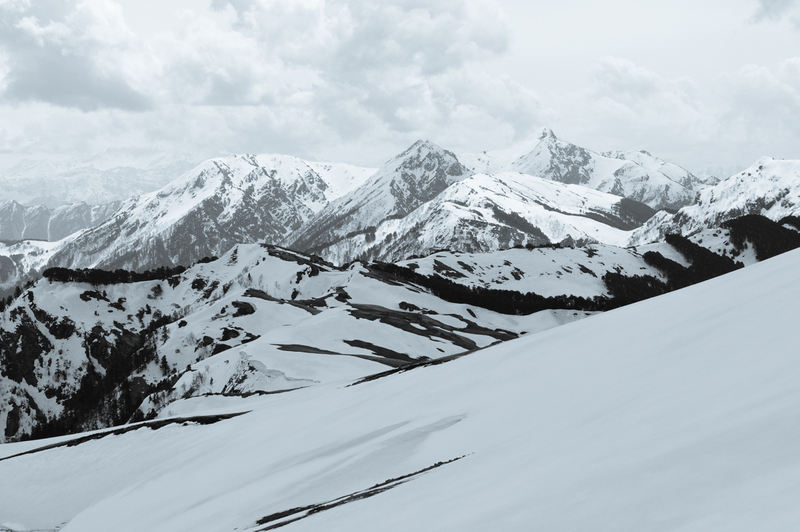 More adventurous can ascend the heights of surrounding ridges. 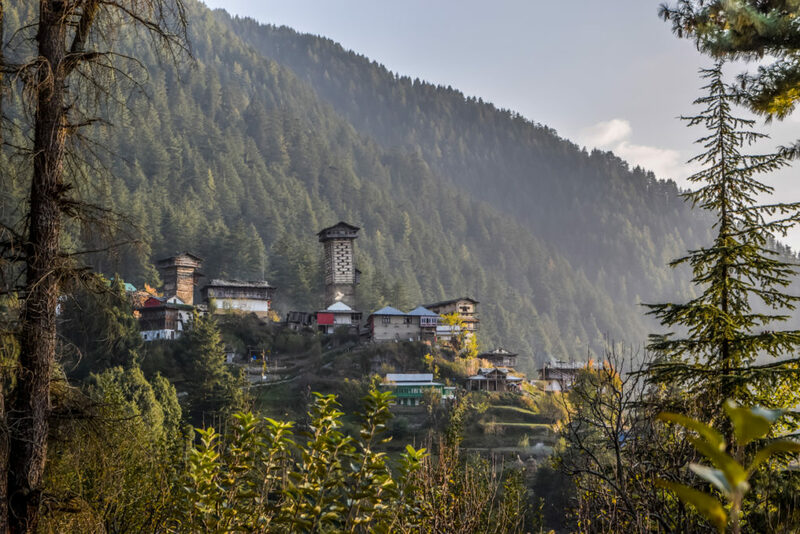 Among all these natural beauty lie unique villages – some of which can only be reached on foot – and a number of delightful temples, including Shringa Rishi Temple,Chehni Kothi,Buddhi Nagin – Serolsar Lake. The whole valley is popular and known for unique flora and fauna particularly, the Himalayan trout fish. 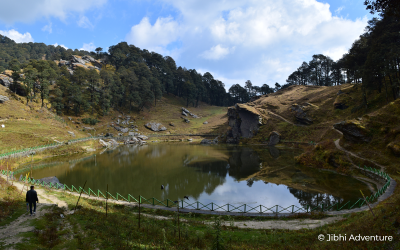 Jibhi also offers a base to explore the world heritage site, The Great Himalayan National Park. Trekkers, explores, research scholars, fishing and angling enthusiasts, People looking to spend quality time with their family and friends from India and across the world make Jibhi their second home for long time till they are completely soaked in the charm, tranquillity and beautiful landscape. 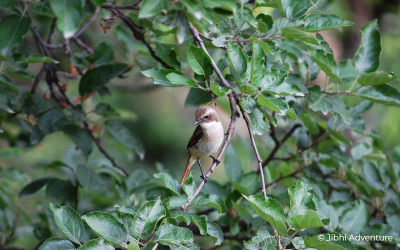 Jibhi offers a very diverse base for birding enthusiast. A lifetime experience with rappel along the 55ft waterfall. The ‘Silent Walks in the Woods’ is a journey to share the healing powers of nature. One of the highlights while you are at Jibhi and a must visit the Place. 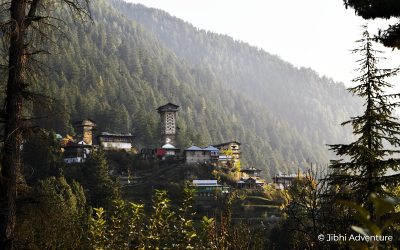 You will have a glimpse of the life in a Mountain Village “Chehni Kothi”. 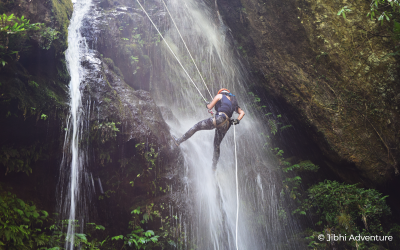 With rappels up to nearly 100ft, this tour is a great blend of nature and adrenaline! 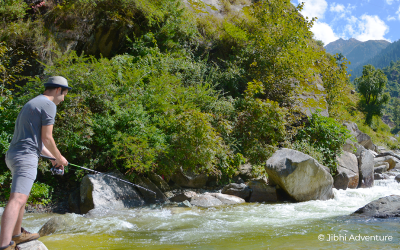 This tour is quite an experience when the Trout catches your line. 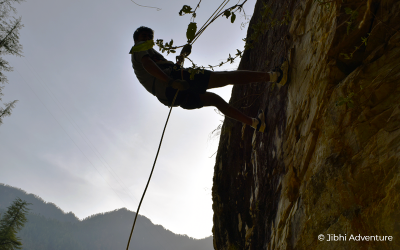 Rock climbing is exciting & challenging sport that will give you a rush like no other.